"Family, With heartfelt compassion, praying for you. I will..."
"To my dear friend Lynn & the Conrad Family you have my..."
"To my darling second mother, I will miss you so much, you..."
"To Emmett and Family, You are in my thoughts and prayers..."
We know that all things work together for good for those who love God, who are called according to his purpose. Romans 8:28 NRSV. 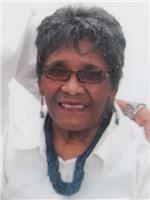 On Monday, September 10, 2018, God called His servant, Dorothy Lee Stevens Conrad, to her heavenly reward. She was born on February 12, 1925, to the union of Eddie Stevens and Ida Matthews. She was educated in the public schools system of East Baton Rouge parish and graduated from McKinley Senior High School. She received her B.S. and M. Ed from Southern University in Baton Rouge. She furthered her studies at LSU and Texas Southern University. While at Southern University, she became a member of Delta Sigma Theta's Alpha Tau chapter. She spent 29 years as an educator in the East Feliciana and East Baton Rouge school systems working as both a classroom and a music teacher. She, from a young age, spent many years serving as a church musician at many local churches, with the first being Ebenezer Baptist Church on Missouri St. and the last being Neely United Methodist Church. She was actively involved in many civic, social and political organizations. Among those were, The American Cancer Society, Mother's March of Dimes, Battered Women and Wives Clinic, Sisters Supporting Sisters, Women Aglow, Church Women United, and The United Methodist Women. Some of her honors included Most Improved Women Owned Business and Outstanding Teacher of the Year in 1978. She was married to Willard Penn Conrad Sr. for 55+ years. To this union, five children were born: Willard Penn Conrad Jr., Stevens Josef Conrad, Ida Lynn Conrad, Clifton Clement Conrad and Emmett Dwayne Conrad. She was preceded in death by her husband, Willard P. Conrad Sr.; brothers Howard Stevens and Darrell Stevens; her parents Elder Eddie Stevens and Ida Matthews; and a son Stevens Josef Conrad. She is survived by her loving, care-giving daughter Ida Lynn Conrad Machen; her sons Atty. Willard P. Conrad Jr. (Cheryl), Rev. Clifton C. Conrad Sr. (Kathleen), and Emmett D. Conrad (Ava); her sisters, Minnie Mae Williams, Albertha S. Postell, Nancy Lou Stevens and Nadine Bates Peebles (Tyronzo); her brothers, Eddie Stevens Jr. (Clara), Winford Stevens (Helen), Benford "Red" Stevens (Carol), and Buzeel "Duke" Stevens (Dorothy). She also leaves to mourn her grandchildren, Jason Conrad, Adriane N. Conrad, Juanita Conrad, Clifton C. Conrad Jr., Jennifer Machen Ebanks, Atty. Chantel C. Conrad, Jessica Machen Dina, Jarrett M. Conrad, Devin A. Conrad, Dennis D. Conrad, and Chelsea D. Conrad. She was also blessed with twelve great-grandchildren and two great-great-grandchildren, as well as numerous nieces and nephews. Services will be held at Neely United Methodist Church on Tuesday, September 18, 2018, with visitation beginning at 5:00p.m., Delta Sigma Theta Omega Omega services at 6:30p.m. and service at 7:00p.m. Dismissal will be on Wednesday, September 19, 2018, at 11:00a.m. Interment will be in Port Hudson National Cemetery. Services are entrusted to MJR Friendly Service Funeral Home of Denham Springs.